Custom designed to your requirements with latest state-of-the-art. Casters can be equipped with Electromagnetic Stirrers, Automatic Mould Level Control system, Mechanical Soft Reduction and Computer controlled automation systems. Our customers can purchase from us superior quality 9/16 bloom casters. These are manufactured using superior quality steel and have excellent resistance against corrosion. Moreover, these have excellent finish standards and can bear extreme industry conditions. Our customers can purchase these casters at competitive prices from us. These casters are highly accepted by our clients. 9/16M Double Radius, 3-Strand complete close, Bow curved type Continuous Casting Machine - CONCAST, ZURICH. Mould EMS for Continuous Casting Machine - DANIELI ROTELE, France. 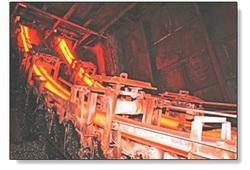 AMLC for Continuous Casting Machine - SERT, France. CC sizes - 250 x 200, 200 x 180 , 160 x 145. 2 Nos. 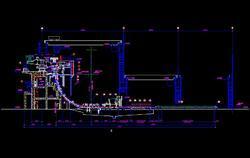 “T type tundish for caster of capacity 10 Ton.